"....you shouldn't miss her vibrant vocals, shimmering like the optical illusions above a sun-baked sidewalk"
"A lovely but difficult song. Thu NAILED it, displaying great range and control." Having trained in Jazz, Broadway, Classical, and R&B music, Thu's voice is imbued with a unique blend of power, clarity, richness, depth, and warmth. She has performed in private events and at various San Francisco and Bay Area venues, including the historic Sir Francis Drake Hotel, ANGeLiCAS, Freight & Salvage Coffeehouse, Mr. Tipple's Recording Studio, Black Cat, Geoffrey's Inner Circle, and the 35,000-square-foot SFJAZZ Center, the first stand-alone structure in the country built specifically for jazz performance. Thu has worked with ensembles led by the Diablo Jazz Company, Grant Levin, Denny Berthiaume, Yancie Taylor, Ben-Fong Torres, Noel Jewkes, and Jazz Mafia. 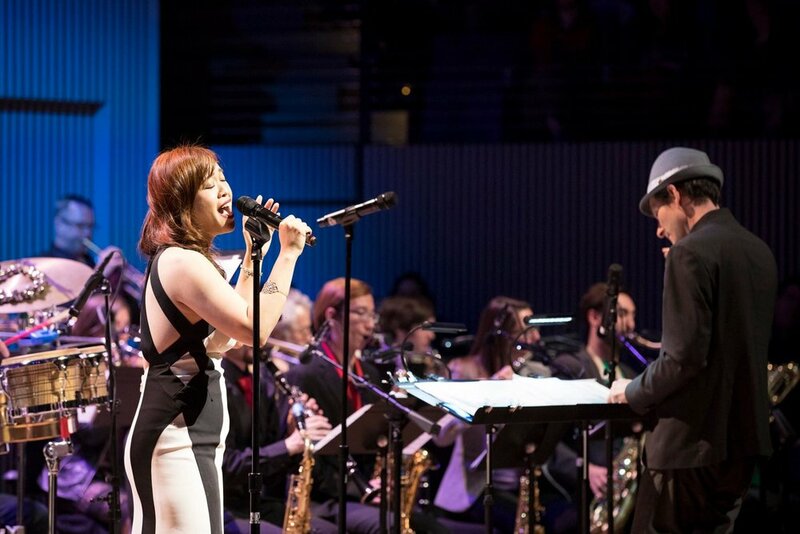 She has been the featured vocalist for SFJAZZ Monday Night Band since 2017. Highly regarded Bay Area and international performers & instructors, including Jono Kornfeld, Rebeca Mauleon, Raz Kennedy, Dena DeRose, Cecilia Engelhart, and Madeline Eastman, have nurtured Thu's skill in jazz theory and performance. She received voice training under the private tutelage of Mr. Merrill Shea, on faculty at the Boston Conservatory of Music.